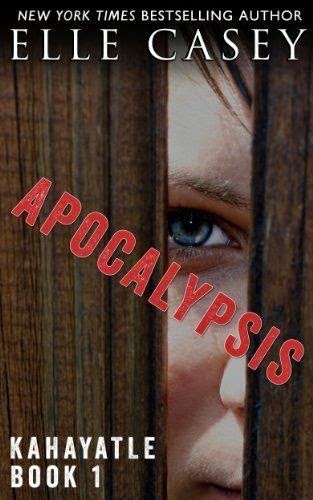 I recently finished reading the Apocalypsis 4 book series by Elle Casey and wanted to give it a quick review. The books are about an apocalyptic world where a deadly, unknown virus wipes out all the adults and children leaving just adolescents on Earth. It is set in America and is written from the point of view of the main character, Bryn, a 17 year old girl and talented fighter. As they use up the food and resources, some resort to stealing, violence and cannibalism to survive as they do not know how to sustain themselves by growing crops or raising livestock. Bryn then sets out with her neighbour, Peter, and Bodo, a German boy they meet on the road, to escape from the cannibals and start a new life somewhere else - the books follow them on their journey. - Some very well developed characters, I was especially impressed by the way she portrayed Coli and Brittany - both girls with mental illnesses. - Written in first person, I much prefer more descriptive 3rd person writing as I feel it sets the scene much better; 3rd person would have suited this storyline a lot better. - In some parts the writing was sloppy and rushed, I spotted a handful of grammatical errors in the 4th book. - The author would drag out some scenes, over-describing the most mundane interactions. - Perhaps the thing I disliked the most about this series was how the author developed the character Bodo over the entire 4 books, he was one of the major characters and yet she didn't tell the reader what happens to him in the end. I'm all for a good cliff-hanger but I wouldn't even call it that. She does a little '5 year later' epilogue at the end and he isn't even mentioned in it whereas the other two protagonists are, as well as some less important characters. It looks like she was in a rush to get the book out, if she'd just put a little more effort into the ending to tie everything together nicely it would have given a lot more reader satisfaction. Overall, if you're into dystopian novels I would recommend it for the interesting storyline, but if you're expecting something beautifully written with an intricately structured storyline I wouldn't bother.